Here are the captures for the bugs 3 mini,note there are 2 different modes angle and acro,the quadcopter has to be rebound in order to move from these 2 modes,I took captures of both modes if you need anything more just let me know,thank you very much. Can you post a picture of the pins you soldered to? Just got my analyzer in the mail so I can make some captures as well. Nice, because I had a quick look and several captures will be necessary to understand the protocol. To be honest I soldered all the pins except the vcc and forgot which color is soldered to which pin because I g0t a big glob of hot glue over the pins.I just hooked all 7wires to the analyzer the 2nd pin is the ground and the first is the vcc. Can I help with the captures.which captures do you need? Do you have several transmitters or bugs mini ? Ok, I need captures from several setups to understand the handshake during bind. Somebody mentioned something about taking captures but the names aren't showing up on the threads anymore. I need to know where to solder. 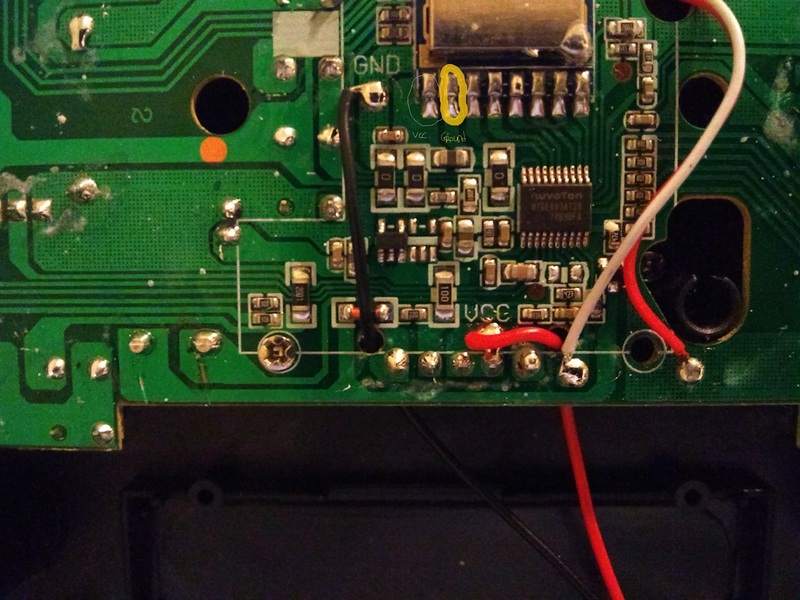 Ok sorry,you don't have to solder the first pin the 1 circled is the ground (2nd pin) .I soldered all the pins to the right of the ground and just hooked them up to the analyzer,I think as long as you have the ground right the Professional Goebish can distinguish the 4 signals. Which pin goes to which channel on the analyzer? There are 8 channels plus two ground on the analyzer. That doesn't matter, just connect ground to ground then connect 6 channels to the 6 rightmost pins. Last edit: 07 Jun 2018 09:47 by goebish. Here is my first capture. Let me know if its good. doesn't look good, seems you're sampling at 50kHz only, use 16-20MHz instead. Last edit: 10 Jun 2018 20:48 by DPyro. Last edit: 10 Jun 2018 21:02 by goebish. Looks like this machine has a bind sequence before it can be used (initial address are different between your dump & C0ckpitvue 777's ), I'd need a capture of that. Last edit: 10 Jun 2018 21:12 by goebish.